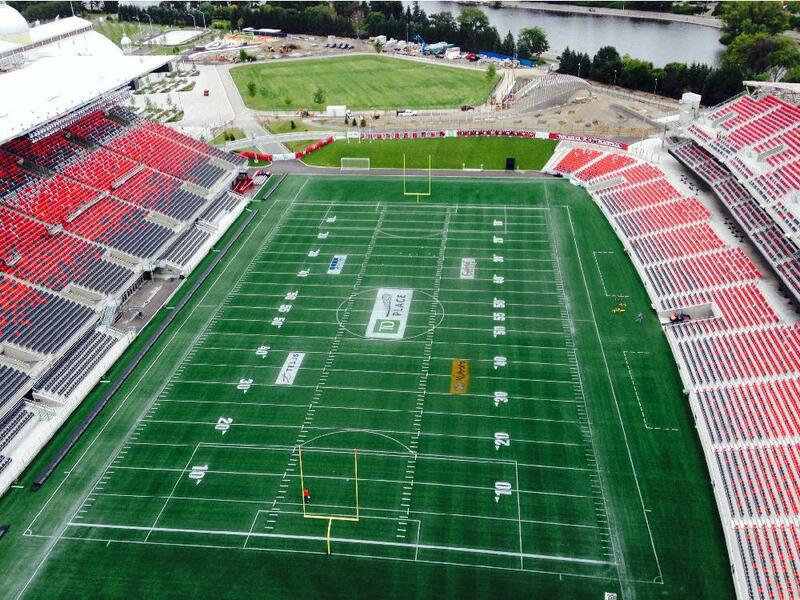 The view of TD Place from the 20th floor of The Rideau is hard to beat. Last week, I became one of the fortunate few who’ve been able to take a tour of Lansdowne Park and get a bird’s-eye view of the striking vistas. Construction is progressing and Minto is making strides in sales. As an example, when I was in the sales office Aug. 25, six of the 16 penthouses at The Rideau were still available; by Sept. 9, they were gone. (There are four per floor between levels 17 and 20.) The building is currently about 90 per cent sold. For my tour, I was brought to the site and shuttled to the 20th floor of The Rideau to check on construction and experience the views. The construction elevator has small eyeholes you can peek out of and what struck me was how great the views were from even the fifth and sixth floors, let alone the 20th. And oh, those views! They were breathtaking. Of course, I was looking at nearly 8,000 square feet of open space, as dividing walls between units hadn’t yet been installed. The finished units will be closer to 2,000 square feet. That being said, the views pack a real punch. Even if you don’t have a stadium view, the surrounding area has much to offer. Driving around Lansdowne Park was almost equally exciting. The site has a real vibe; it feels like a village. You can see easy living in the making. Pop out of your condo to a sporting event at TD Place stadium, then to Whole Foods to grab dinner, then to a movie — it’s all there. There will even be Winners, Sporting Life and Milestones. And there’s easy access to parkland and green space, which is something condo residents often miss out on. It’s amazing to think that the stadium holds 24,000, making it larger than other Ottawa venues. It won’t just be used for sporting events, but may also host concerts. And, even if you can’t see events from your condo at The Rideau, you can rent one of the building’s boxes for viewing. While residents can enjoy shopping without a coat in winter (they can reach the stores and restaurants without going outside), this new community won’t feel like just a mall. Outdoor amenities such as the stadium and the farmers’ market are great touches that lend this project a warm feel. 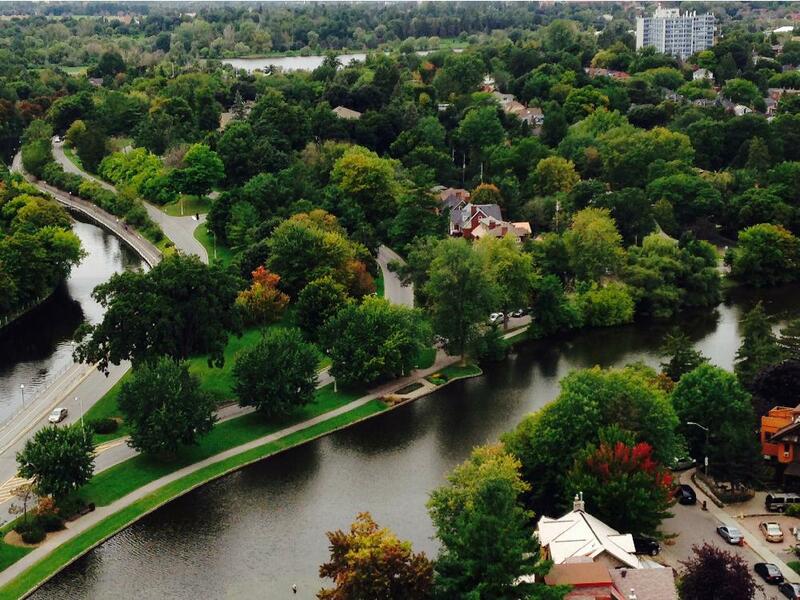 The Rideau is expected to be completed in December 2015, according to a recent update. I know several people planning to move in and the mood is one of excitement. After my tour, I’m excited, too.